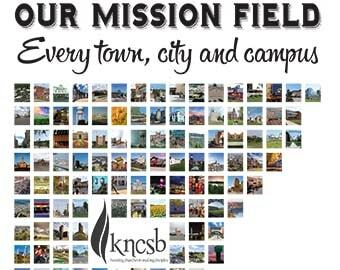 Man Up, the annual KNCSB men’s retreat, will be held March 8-9 at Webster Conference Center, Salina, Kan. The retreat is aimed at adult men and teen guys in grades 7-12. It will start at 3 p.m. Friday, March 8, and end at 3:30 p.m. Saturday, March 9. All KNCSB churches, other churches and men/teen guy groups are invited to attend. Bryan Carter will be the featured speaker. He is a co-presenter/developer for “33 The Series,” a curriculum on authentic manhood published by LifeWay Christian Resources. Carter has served as senior pastor of Concord Church, Dallas, since 2003. KNCSB’s own Jason Waller will be the featured musician. Waller grew up in Burlington, Kan., and now serves as worship arts minister at The Mount Church, Keller, Texas. He will be returning to CrossPoint Church, Salina, Kan., where he served before going to Texas. THIS COURSE WILL EXAMINE PRACTICAL WAYS, OPPORTUNITIES AND RESOURCES TO HELP MEN SPEND QUALITY TIME DISCIPLING YOUNG MEN BY SPENDING TIME TOGETHER WITHOUT WRECKING AN ALREADY BUSY LIFESTYLE. THE MATERIAL COVERED WILL APPLY TO MEN WANTING TO DISCIPLE THIER OWN SONS OR OTHER YOUNG MEN IN THEIR LIVES. DISC “DON’T CALL ME FRISBEE” GOLF! DISC GOLF IS A WALK IN THE PARK, THE WOODS, THE MOUNTAINS, OR EVEN AROUND THE LAKE. IT’S FUN FOR THE ENTIRE FAMILY. DISC GOLF ALSO PROVIDES US WITH AN OPPORTUNITY TO CONNECT WITH THE LORD THROUGH PHYSICAL ACTIVITY AND ENJOYING HIS CREATIONS. COME LEARN MORE ABOUT DISC GOLF AND GOD! ECCLESIASTES 7-8: “THE END OF THE MATTER IS BETTER THAN ITS BEGINNING AND PATIENCE IS BETTER THAN PRIDE.” WISDOM PRESERVES THE LIFE OF ITS OWNER. MUCH LIKE SMOKING OR PRESERVING MEAT, IT’S ALL ABOUT REMOVING MOISTURE OR USING LOW HEAT TO BREAK DOWN THE MEAT OVER TIME. WHAT NEEDS BROKEN DOWN THROUGH PATIENCE IN OUR SPIRITUAL LIVES? COME LEARN ABOUT WHAT HELPS MAKE PARTNERSHIPS SUCCESSFUL. ACCOUNTABILITY, MEETINGS, FREQUENCY AND AVOIDING PITFALLS ARE ONLY THE BEGINNING. THIS SESSION WILL GIVE TIPS AS WELL AS ANSWER QUESTIONS. WHY ARE THE MAJORITY OF CHRISTIANS SO INTIMIDATED WHEN IT COMES TO SHARING THEIR FAITH? WHAT CAN CHURCH LEADERS DO TO BREAK THE BARRIER? IN THIS SESSION, PASTOR STEVE BARNES OFFERS INSIGHT AND SOLUTIONS TO THESE QUESTIONS. YOU’LL LEAVE EQUIPPED WITH THE TOOLS AND RESOURCES NEEDED TO ENGAGE, INSPIRE, AND MOBILIZE EVEN THE MOST TIMID CHRISTIAN TO PERSONALLY SHARE THIER FAITH. GOD IS USING MEN AROUND THE WORLD TO SHARE HIS LOVE FOR HIS GLORY. COME JOIN US AS WE LOOK AT HOW WE CAN BE INVOLVED IN REACHING OTHER MEN FOR CHRIST. LEARN HOW YOU CAN MAKE A DIFFERENCE IN WAYS YOU MAY HAVE NEVER THOUGHT OF. YOU CAN CHANGE THIS WORLD BY LEADING OTHER MEN TO HIM! FOR THE NATION OF ISRAEL, THE WILDERNESS PROVED TO BE A SEASON OF DIFFICULT TRANSITIONS WHERE LIFE WAS NOT AS THEY REMEMBERED, AND YET WAS STILL NOT REFLECTIVE OF WHERE GOD HAD PROMISED. CAN YOU RELATE? WE’VE ALL BEEN IN SEASONS WHERE LIFE IS NO LONGER WHAT WE WERE FAMILIAR WITH, NOR SETTLED IN THE NEW PLACE WE FEEL GOD WAS LEADING US INTO. THESE WILDERNESS EXPERIENCES ARE FILLED WITH FAITH-DEFINING MOMENTS THAT CAN BE CATALYSTS FOR GREAT SEASONS OF GROWTH IN YOUR LIFE. OR, LIKE MANY IN ISRAEL EXPERIENCED, THEY CAN GIVE WAY TO FAITH SHATTERING MOMENTS THAT CAUSE YOU TO MISS GOD’S BEST. THE GOOD NEWS IS YOU GET TO CHOOSE! YOUR CHOICE NOT ONLY SHAPES THE MAN YOU ARE, BUT IT ALSO DEFINES THE MAN YOU’LL BECOME. Is a schedule of events / itinerary available for this event? The schedule has not been finalized at this point. But we do know the retreat will start at 3 p.m. Friday, March 8, and end around 3:30 p.m. Saturday, March 9. Thanks for your interest! We hope you will come and bring a group with you!